After countless viewings on VHS and DVD over my lifetime, I finally got to see Labyrinth on the big screen today. The imagination and detail in this film are just astonishing. Every scene has little puppet creatures wandering or flying about in the background to bring the sets to life. In today’s screening I noticed, for the first time, that there are two bottles of milk – presumably delivered by the Goblin Milkman – outside the door of Jareth’s castle. How brilliant is that? 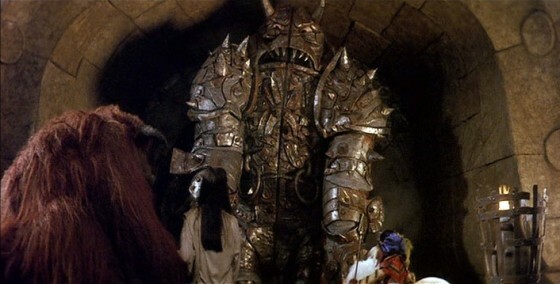 Anyway, while there are many awesome things about Labyrinth, one of the techniques that I think is put to particularly good effect in the film is in-camera substitution. Typically this involves one type of puppet leaving frame briefly, and a second puppet – of the same character – reappearing in its place. 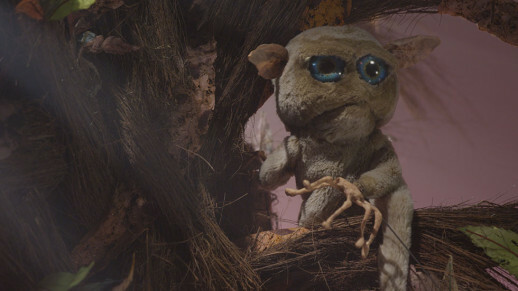 Puppets are often limited in the actions that they can perform, and while scenes will commonly use different versions of the puppet in different shots to cover the full range of actions, Henson sometimes uses different versions of the puppet in the same shot to sell the illusion of a single, living creature. And though many of these effects are fairly obvious to a modern audience, you can still admire their ingenious design and perfect timing. Skip through the movie to the timecodes listed below to see some of the best substitution effects. 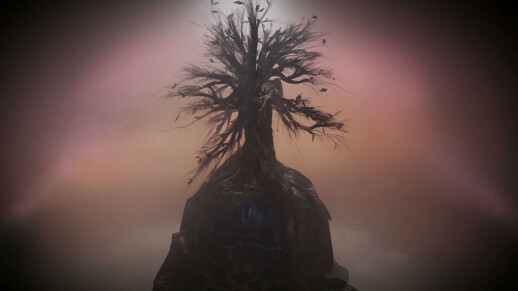 In the film’s first puppet scene, Sarah’s parent’s bedroom becomes infested with goblins, building up to David Bowie’s big oh-so-eighties entrance. One goblin crawls along the bed, under the sheets, before emerging. It looks like the initial crawling is achieved by pulling a rough goblin shape along on a wire under the sheets. The shape then drops out of the end of the bedclothes, behind a chest, and a moment later a puppet pops up from behind the same chest. This substitution effect obviates the need for a custom-built or chopped-up bed, which would have been necessary to permit the passage of the proper puppet and its puppeteer under the bedclothes. This shot appears to employ three different models of Sir Didymus, the honourable but fighting-crazed guardian of the bridge over the Bog of Eternal Stench. The first is a floppy version which is thrown behind some rocks by Ludo. After a practical puff of dusk, a second Sir Didymus – this one in a more rigid, leaping position – is launched from some kind of catapult hidden behind the rocks. 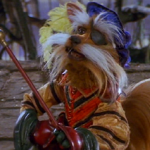 He flies out of frame, to be replaced a moment later by the Muppet-style hand- and rod-puppet which is used for the majority of Sir Didymus’ shots. 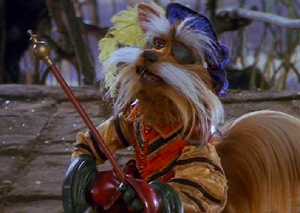 To his infinite chagrin, Sir Didymus’ bravery is not matched by that of his canine steed, Ambrosius. During the battle with Humongous, the petrified pooch rears up, throwing off his valiant rider, and retires shamelessly into hiding. The rearing up is accomplished with a rather unconvincing puppet dog. After he drops back down out of frame (aided by a slight zoom in to help lose him), a real dog enters in the background, running into hiding. “I can’t live within you.” Not at all creepy, Dave. This kind of low-tech but ingenious filmmaking is in danger of dying, as CGI is perceived as the only tool to create illusions. But with a little thought, a little planning, cunning framing, and a knowledge of how to use editing (or lack thereof) to your advantage, very effective illusions can still be created in camera. In today’s films, if a character is not human, chances are it will be created digitally. 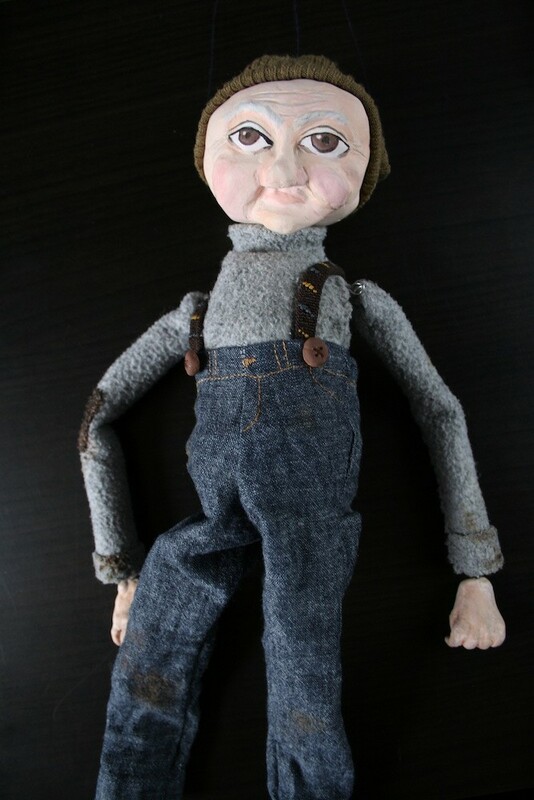 But in the latter half of the 20th century, as increasingly sophisticated audiences demanded more than a man in a suit, the art of puppetry blossomed in Hollywood. 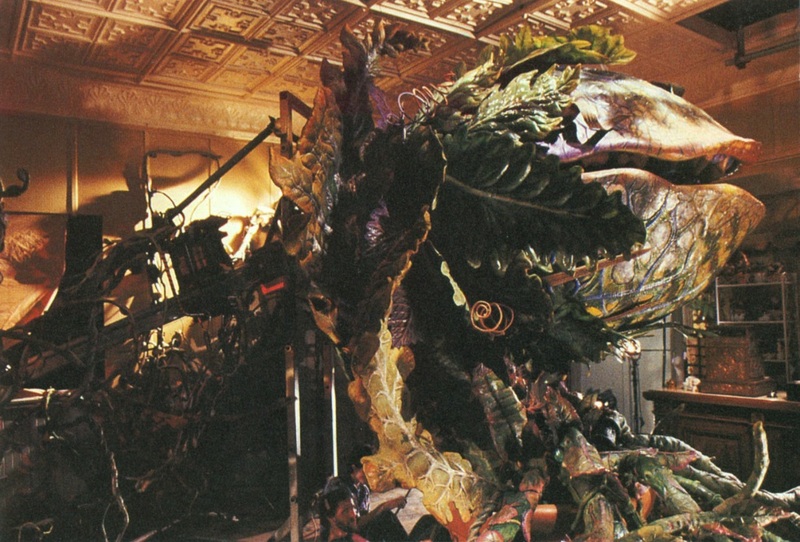 Artists like Stan Winston and Rob Bottin brought this art to its peak in the 80s and early 90s, before being usurped by computers. Today I’ve compiled a list of what I consider the ten greatest achievements of movie puppeteering. Some of them hold special places in my childhood memories; somehow, I can’t imagine that the digital creatures of today’s cinema will be cherished so fondly by the next generation. Evolved out of an abandoned sequel to Close Encounters of the Third Kind, E.T. was the highest-grossing film of all time until it was outdone by another Spielberg movie which can be found later on in this list. 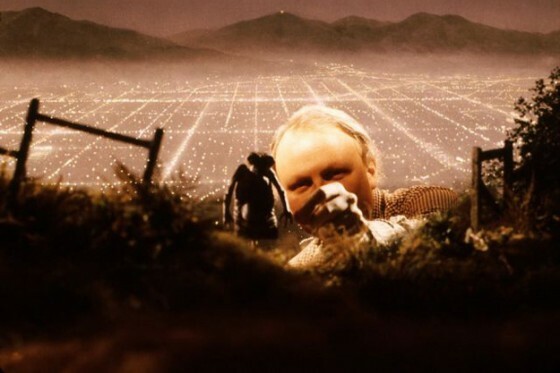 Like those in Close Encounters, E.T.’s alien was designed and built by Carlo Rambaldi, who also brought H. R. Giger’s eponymous Alien design to life for the 1979 sci-fi classic. Although he may appear to be a cross between a pretzel and a dog turd, the inexplicably cute E.T. was actually based on the faces of Albert Einstein and writers Ernest Hemingway and Carl Sandburg. While the head was animatronic, the body was generally occupied by one of two little people, or by Matthew DeMeritt, a twelve-year-old with no legs who walked around with his hands inside the creature’s feet. A miniature puppet was employed for at least one shot, as seen above being adjusted by ILM’s Dennis Muren. I don’t have enough fingers to count how many times I’ve seen this movie, and I love it every time. The imaginations of Brian Froud, Jim Henson and Terry Jones make for a potent combination of fantasy, wit, invention and silliness. Not to mention David Bowie in obscenely tight trousers, a treat for all the family. 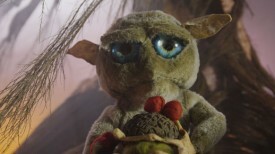 There are brilliant puppets throughout – the helpful worm, the brave canine Sir Didymus, the Wise Man’s mouthy hat, sundry goblins, and the mischievous Fireys (choreographed by Star Trek: TNG’s Gates McFadden and partly voiced by Red Dwarf’s Danny John-Jules, fact fans). But my favourite is Humongous. Having finally reached the Goblin City, Sarah (Jennifer Connelly) and her friends are faced by huge metal doors which slam together to form a hulking, axe-wielding, giant robot. 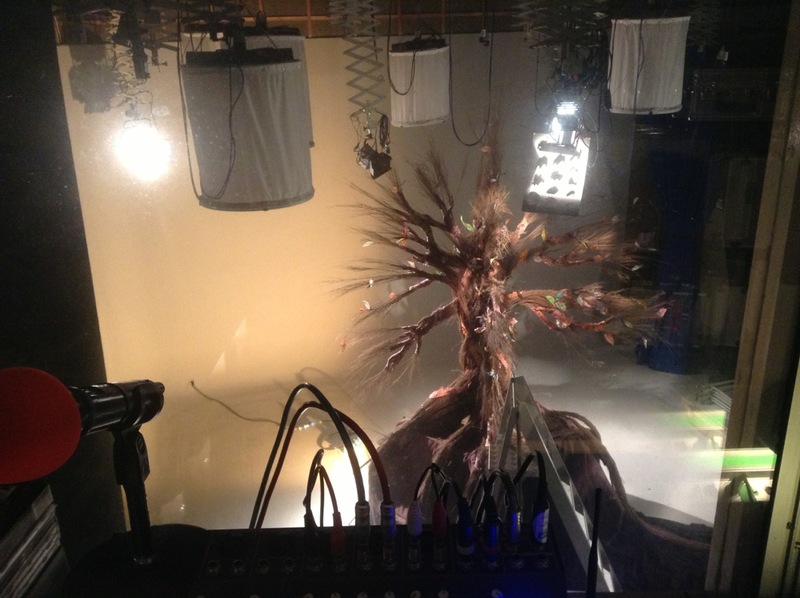 Special effects supervisor George Gibbs designed a hydraulically actuated skeleton mounted on a boom arm on a dolly track hidden behind the creature. The limbs and head were operated by a single puppeteer in a telemetry rig that translated his movements to the puppet. A bit like Avatar, only the avatar in question was a real, 15ft tall character. James Cameron’s film seems pretty lame by comparison, huh? 20,000 Leagues Under the Sea is a much-loved Disney classic from that era when every Jules Verne adaptation seemed to star James Mason. 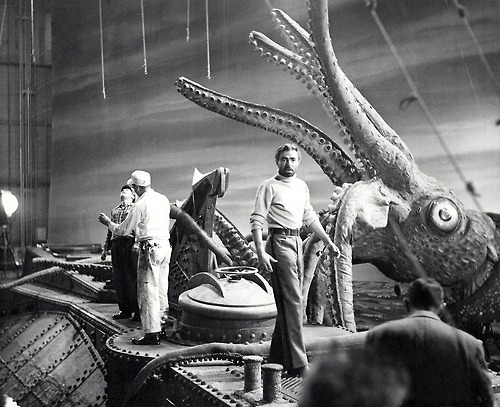 Probably the largest puppet ever made for a film at the time, the giant squid still impresses today. Its climactic attack on the Nautilus was originally shot at sunset with a calm sea, but the wires holding up the tentacles were too obviously visible. 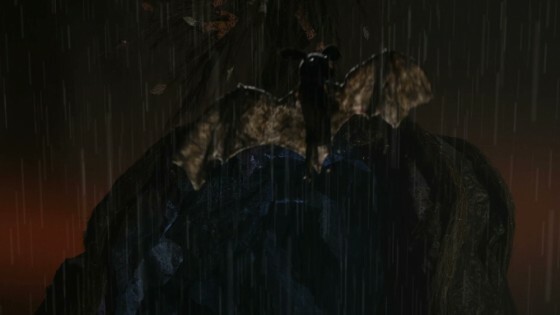 Walt Disney himself allegedly suggested the reshoot in dark, stormy conditions and the result was a much more dramatic and convincing sequence. Inspired by the 40ft hydraulic ape built for John Guillermin’s 1976 King Kong remake (which would probably be on this list if I’d ever seen the film), Steven Spielberg embarked on Jurassic Park hoping to use full-size animatronics to realise all of his dinosaur shots. This of course proved impractical, and we all know about the ground-breaking CGI that ultimately supplied the wide shots of the animals. But the majority of the dinosaur shots in the movie were indeed full-size animatronics built and operated by Stan Winston and co. The main T-rex puppet weighed over six tonnes and was mounted on a flight simulator-style platform that had to be anchored into the bedrock under the soundstage. Although its actions were occasionally preprogrammed, the prehistoric monster was generally puppeteered live. Winston and his crew built a three-foot T-rex armature packed with sensors; when this armature was moved, the full-size Rex would duplicate the movement in real time. Ranks so highly in this list Yoda does, because of his cultural impact. Terrified that audiences would reject a muppet character in a live action film, George Lucas, producer Gary Kurtz and director Irvin Kershner were. Brave enough to try it had they not been, attempted The Dark Crystal and Labyrinth might never have been. (Go on to produce The Dark Crystal, Kurtz would, while exec produce Labyrinth, Lucas would.) Sculpted by makeup artist Stuart Freeborn, Yoda was, and bears a distinct resemblance to him, the puppet does. Help build the puppet, the Jim Henson Company did, around a cast of performer Frank Oz’s arm. 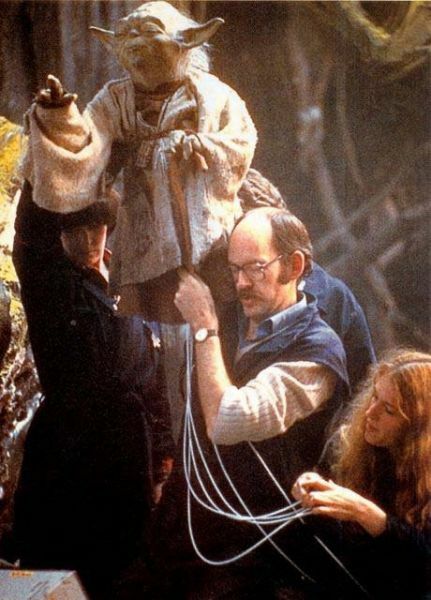 The puppetry to accommodate, built four feet above the floor, the Dagobah set was. For voicing and performing Miss Piggy, most famous Frank Oz was. 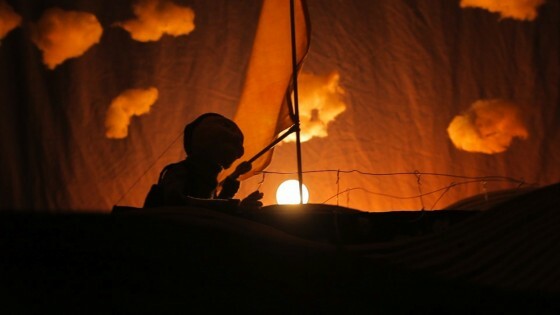 Intend to replace Oz’s voice Lucas did, but work so well with his puppetry it did, that remain Oz’s voice did. Aside from E.T., Audrey II is the only puppet on this list that properly lip-syncs – not just flapping its jaw, but actually forming the correct mouth shapes for each syllable – a fiendishly difficult task for a puppet. Animatronics expert Lyle Conway, a veteran of The Dark Crystal and the Muppets franchise, came on board to design and build the five iterations of Audrey II, ranging in size from a few inches to over twelve feet. Conway then hired a trio of lip-sync puppeteers fresh from Return to Oz (another great puppet movie which narrowly missed this list) who rehearsed for three months. They were joined by additional crew – as many as 70 for the largest plant – to manipulate the vines and control the gross body movements. One of those puppeteers was concealed inside the head, but the rest worked via five-foot-tall levers hooked to cable controls in a sweaty space beneath the set that resembled a manic convention of railway signalmen. So exhausting was the operation of the larger puppets that a physical therapist was hired by the production, and only a few lines of a song could be shot each day. Check out the film’s awesome original ending below. For me, filmmaking is all about imagination, and by that measure The Dark Crystal must be the greatest film ever made. In recent years there have been horrifying rumours of a 3D sequel mixing puppets and CGI, but mercifully this abomination seems trapped in development hell. There is something so very satisfying about a world which has been realised entirely through hands-on, physical means – you can feel the blood, sweat and tears. The performers of the creepy Garthim, for example, had to be hung on racks to rest at regular intervals, so heavy were their costumes. Skesis puppeteers went around all day with one arm extended above their heads (inside the puppet head and neck) and video monitors strapped to their chests so they could see what they were doing. A Swiss mime was brought in to choreograph certain characters, and to train the team of performers before the shoot, building up the physical stamina they would need. Directed by the two greatest movie puppeteers in the world, Jim Henson and Frank Oz, The Dark Crystal is a monument to the art of puppetry and remains to this day one of the most unique films in cinematic history. 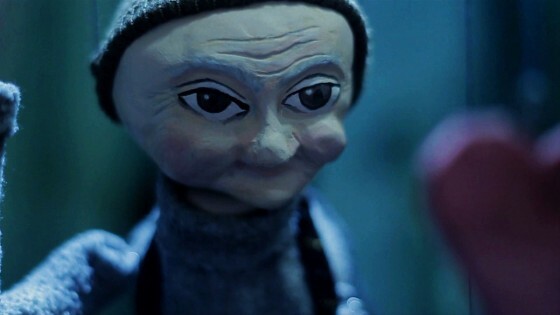 Here’s a breakdown of the lighting choices made on my little puppet film, The One That Got Away. You can watch the film over at the Virgin Media Shorts website. If you enjoy it, please use the tweet button to register your vote and help us get a place on the shortlist. 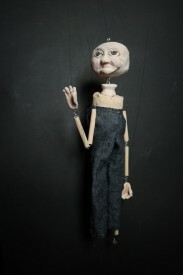 Conventional wisdom with marionettes is probably to go for very flat lighting with no backlight, to make it as difficult as possible to see the strings. But on TOTGA I wanted to embrace and celebrate the tactile, handmade look of the puppets and sets, so I chose a traditional three-point lighting scheme that imparted depth and made no effort to hide the strings. Normally I shoot wide open – typically f1.8 – on my DSLR, but as the puppets were small the depth of field would have been ridiculously shallow at that aperture. 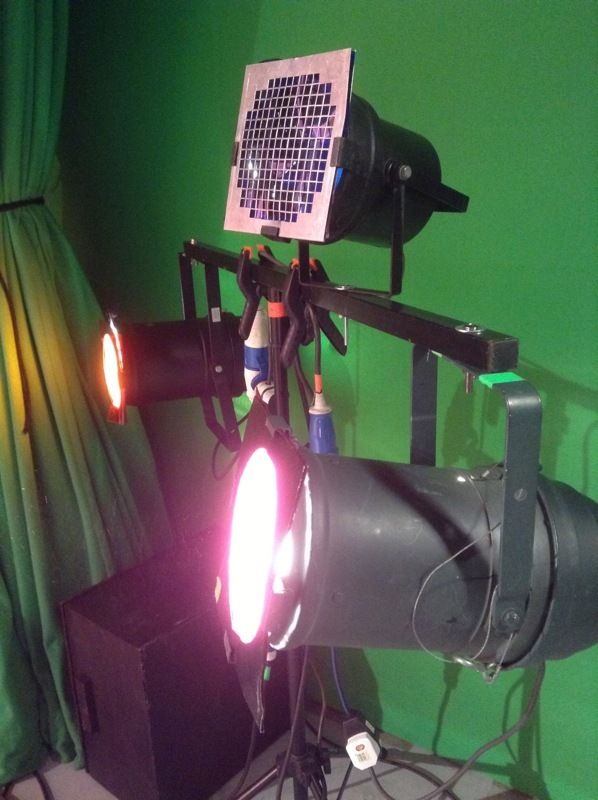 Instead I lit the set very brightly (about 3KW of tungsten horsepower in our cramped living room – not very pleasant during a heatwave!) and stopped down to around f4. The clouds cast shadows on the sky, but I think that adds to the charm. For the daylight scenes I used my three open-face tungsten Arrilites: a 1K poking over the top of the backdrop for backlight, another 1K with tough-spun diffuser off camera left for key, and an 800W bouncing off the ceiling for fill. This last lamp was gelled blue to suggest ambient skylight. the camera and boat are fixed in close-ups, with the background bobbing up and down, as if we’re now shooting on a tripod in Henry’s boat. A cool white balance and blue gels help to give an underwater look. I used just two light sources: the 1K backlight, now gelled blue, and the other 1K, bounced off sheets of silver wrapping paper tacked loosely to the ceiling. 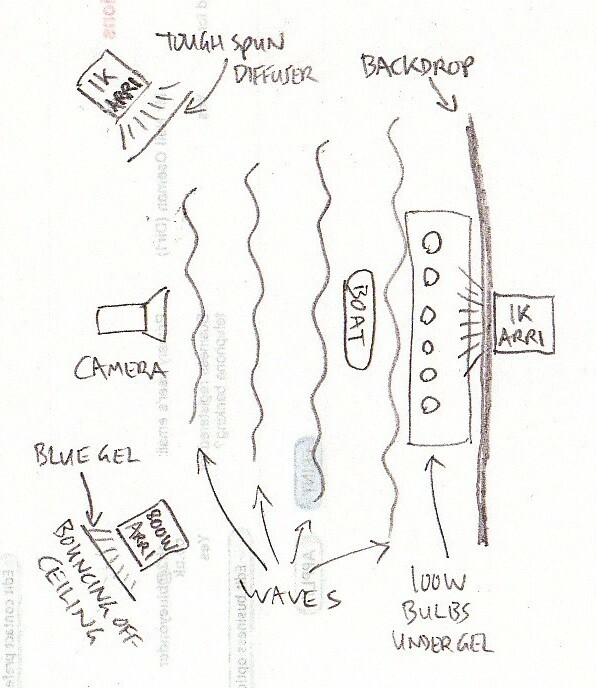 This is exactly the same method I used for a scene in Ashes – flapping a piece of card at the wrapping paper makes the light ripple in a very watery way. The underwater lighting scheme was a lot darker than the daylight one, so I opened up to around f2, giving a crazily shallow depth of field that worked nicely for this dream sequence. 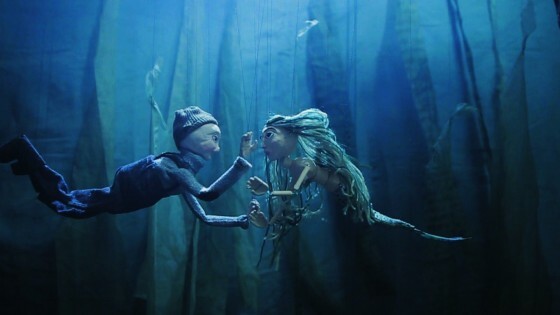 The mermaid’s close-ups were all shot through a CD case for an old-school soft-focus look. I would have liked to have shot this sequence handheld, but a lack of crew meant I had to lock the camera off so I could operate the smoke machine, fan the wrapping paper and move little fish through frame. When Henry awakens from his dream, the fish escapes and he gives chase. Orange gels and lens flare were used to suggest the sun getting lower in the sky, until finally Henry and his quarry are silhouetted against the solar disc itself. This is a domestic 100W tungsten bulb peeking over the back wave. The only other light source is a row of six more such bulbs under a sheet of orange gel, just behind and below the first one. The sun is an ordinary 100W tungsten lightbulb. 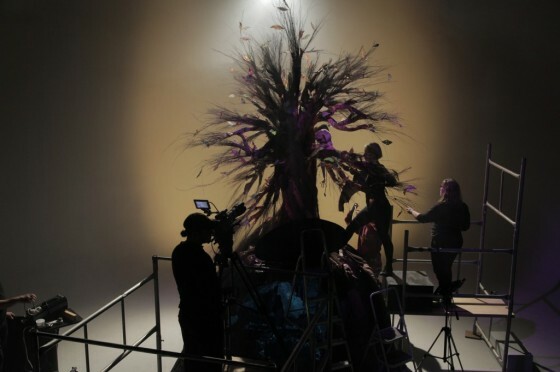 As the scene moves into twilight, the first bulb is removed and the orange gel over the other six is replaced with a purple one. The 1K backlight is turned back on (possibly it would have been more realistic without, but I’m just a sucker for backlight) and some pink fill is provided by placing a sheet of Minus Green gel on the other 1K and bouncing it off a reflector. Pink and purple gels are used to give a post-sunset tinge to the final scene. That’s all folks. Please do tweet about the film (being sure to include the title The One That Got Away and the hashtag #VMShortsVote for it to count as a vote) and click here to watch the behind-the-scenes featurette if you missed it. 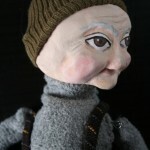 Guest blogger Katie Lake tells the story of how Henry Otto, the marionette star of The One That Got Away, came into this world. Click here to watch the film and please tweet about it to help us make the competition shortlist. It started as a whim, a crazy idea. 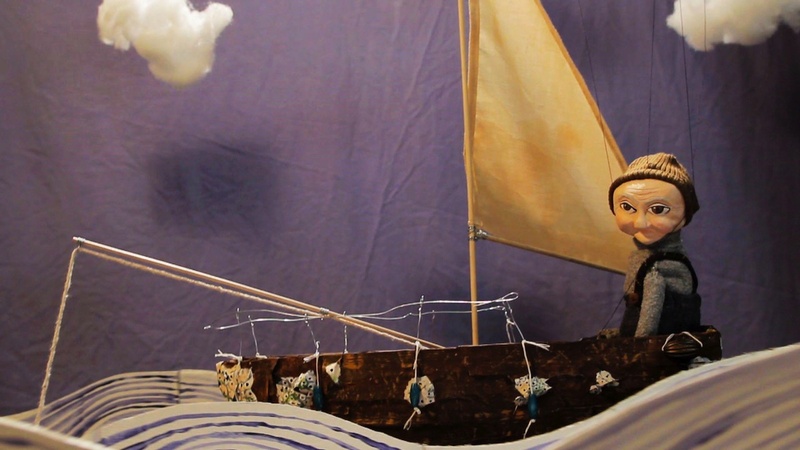 I have wanted to do a puppet film with Neil for a while. But if I couldn’t make a puppet, there would be no puppet film. No pressure. I started with his head. 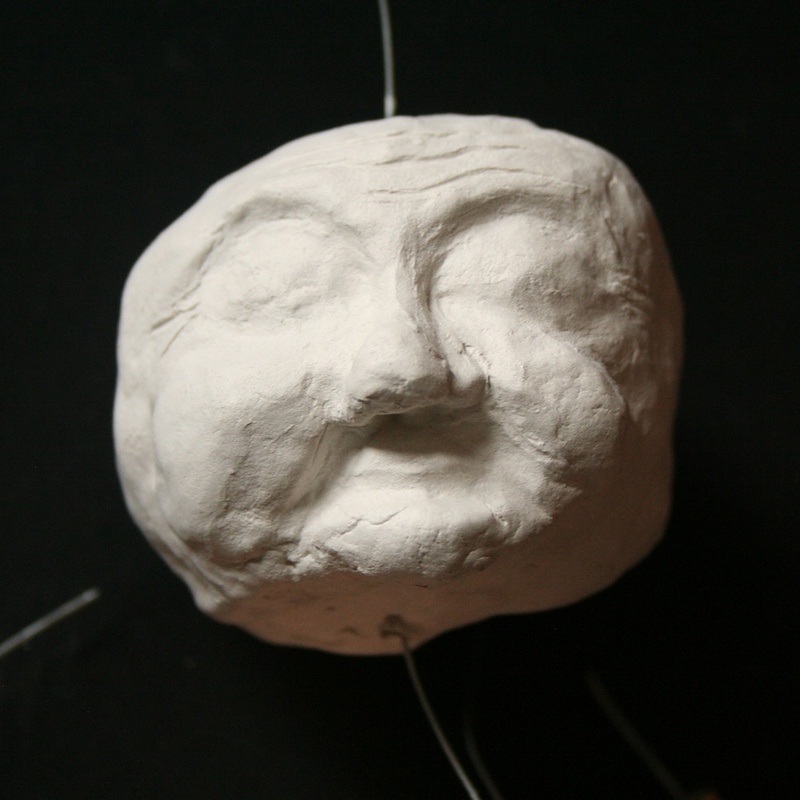 I wound newspaper around metal wire that would become his controls, then covered the newspaper ball with a layer of air-drying clay, shaping his head, and face. I did a test with lights to see if I liked the shape I got (1). I then made his body. 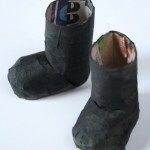 This started out as a toilet roll tube, covered in papier-mâché, and his arms and legs were rolled up newspaper “beads”. I then painted them beige, and sculpted hands using more clay over wire. 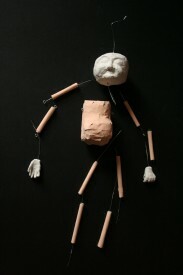 I fit the legs and arms with wire, and before I put him together this was how he was looking (2). I liked the big head, spindly legs and long arms. So together he went. I made the start of a neck, and then painted his face. He now had an expression, a look, a character. I (hesitantly) fell in love with Henry when I first sculpted his head and face, but was really worried that I wouldn’t be able to do him justice with paint. Thankfully I was pleased with the results. And this is when I knew the name swirling around in my head, was the name he was going to be. There is something about him that reminds me of my maternal grandfather’s side of the family, so Henry is sort of an homage. He then needed some clothes. 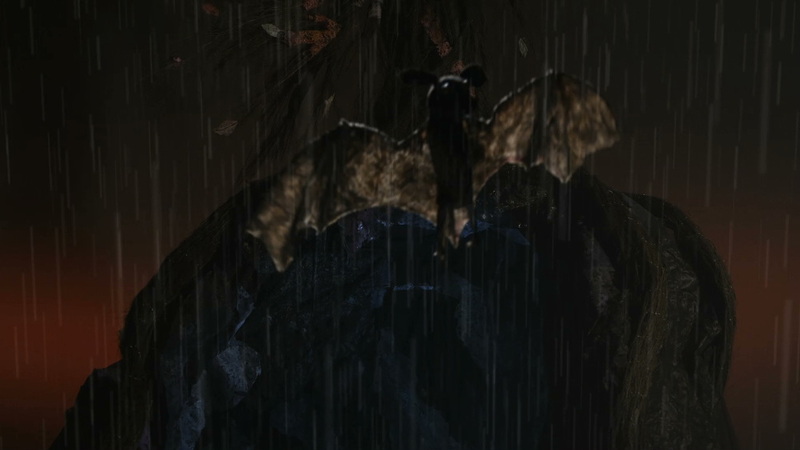 Despite, or maybe because of my costume background, deciding what clothes to make for him was by far the hardest bit. In the end we decided jeans were a good place to start. I drafted a pattern in cloth, then altered it, and cut them out of an old charity shop skirt. I also gave him some hand stitched details around the waist. I temporarily strung him up, and tested out what we could get him to do. This was also his first camera test (3). It was now that we realised he needed lateral head controls (one on either side of his head so we could make him look left and right). Oops. I attached lateral controls to the outside of his head as I didn’t want to risk drilling, so he now needed a hat or wisps of hair to hide the wire. He also needed a top, and boots. Enter Jo Henshaw, who kindly offered to come and help out. 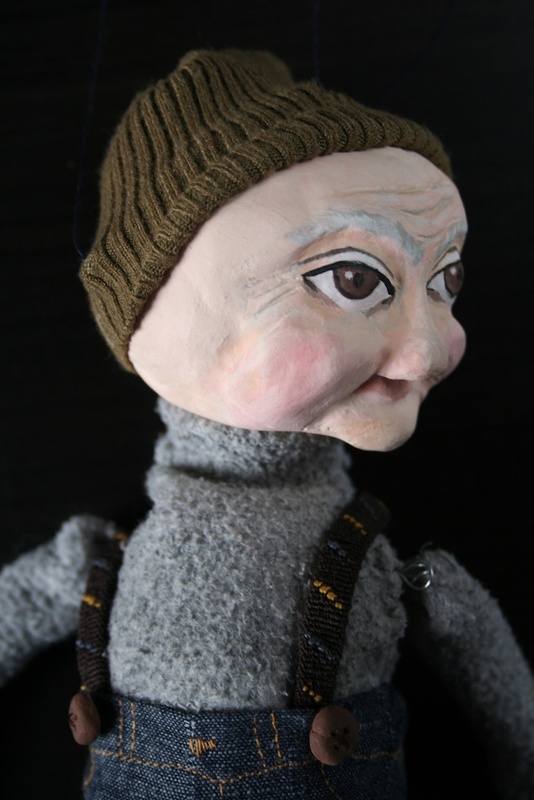 She helped finalize costume design decisions, and made him his cute beanie (out of an old sleeve) and started his sweater (out of an old sweater) (4). 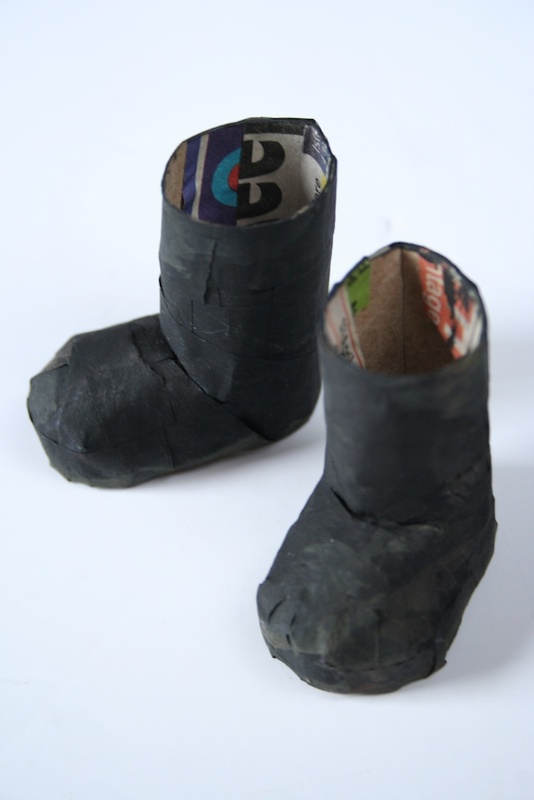 I made boots (out of more toilet roll tubes cut and bent, glued into shape and then papier-mâchéd, and then painted black) (5). I should also mention stop-motion animator Emily Currie, another helpful volunteer, who used her expertise to ensure the lateral controls stayed put. Henry’s sweater was then sewn onto him, covering the multiple pieces. I kept the arms separate for greater movement. I finished him off with braces made out of old shoe laces, made buttons out of clay which I painted brown, sewed a patch onto his arm from an old scrap and aged his costume with some brown and black paint. Lastly I strung him up using extra strong navy thread. The T bar I made using a piece of flat doweling, some screw eyes (upcycled from old curtain rings) and nails to make the cross bars removable. And Henry was ready for his debut (6). You can visit Katie’s blog at www.katiedidonline.com. To find out what Henry’s up to, why not befriend him on Facebook? 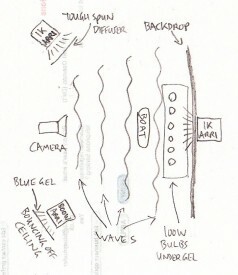 Tomorrow I’ll look at the camera and lighting techniques used to shoot the film. 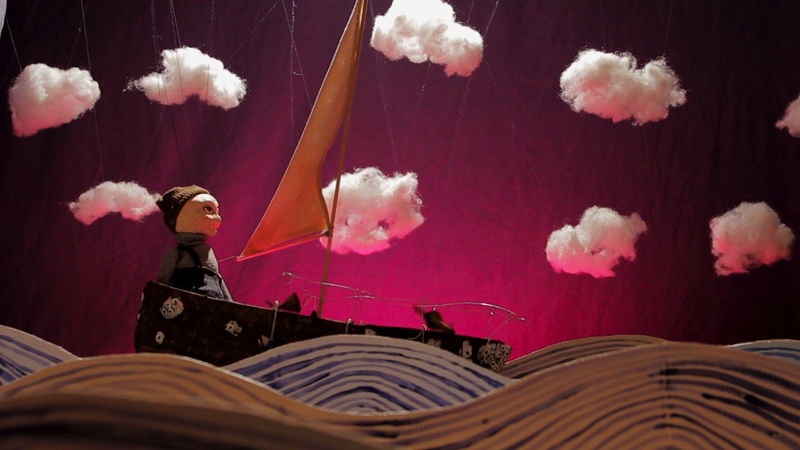 Here’s a behind-the-scenes featurette looking at the making of my little puppet film. This featurette was an experiment in shooting and editing entirely on my iPad, so please excuse the poor sound and clunky cutting. Click here to watch The One That Got Away itself. Please help the film make the shortlist of the Virgin Media Shorts competition by visiting that link and using the tweet button underneath the video. The entry with the most tweets between now and July 28th will be shown in cinemas nationally. It’s an entry to Virgin Media Shorts, and you can help us make the shortlist by using the tweet button under the video. The film with the most tweets between now and Sunday (28th) gets a guaranteed place on the shortlist, meaning it will be shown nationally in cinemas and be in with a chance of winning the filmmakers £30,000 to fund their next project. Please note that only the tweet button (not Facebook, Google+ or any of the others) can be used to register a vote. Alternatively you can write your own tweet, so long as it includes the name of the film – The One That Got Away – followed by the hashtag #VMShortsVote. Thanks everyone. Stay tuned all week for The-One-That-Got-Away-related goodies, including a behind-the-scenes featurette tomorrow. Puppets are slow. Expect your shoot to take at least twice as long as it would with live actors. Puppets can’t do much. You’ll need to break your shots into small chunks because it’s difficult to make a puppet do multiple different things in the same take. In the edit you’ll find yourself favouring the wider shots because the body language of the puppets will typically be far more expressive than the face. Make time for rehearsals. It’s a lot of work to build puppets and you may forget, or run out of time, to make sure they will move convincingly ahead of the shoot. 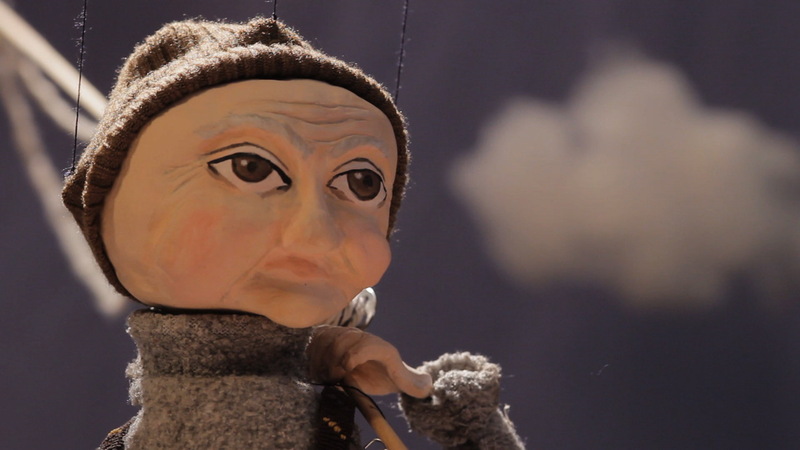 Even an experienced puppeteer will need time to get to know your puppets in order to get the best out of them. Think carefully before building your sets. Are they going to be big enough to get the shots you need without seeing off the edge? There can be a tendency to focus on making everything work for one master wide shot, but what about your reverses – is there enough set for those too? 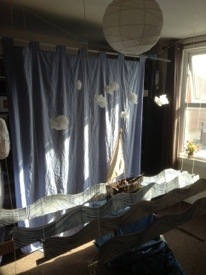 And where will your puppeteers stand/sit/crouch/lie to operate the characters? If you’re using marionettes you must consider the strings as well, ensuring that no part of the set or lighting equipment will get in their way. Sound design and music are important to any film, but with puppets and animation they will often have to do more than their fair share of the work to breathe life into the characters. Get someone good on board to take care of this vital area.